If it was just a quarterfinal-match at the 2015 French Open, then why did it feel like so much more? When World No. 1 Novak Djokovic bested Rafael Nadal in straight sets 7-5, 6-3, 6-1, you could sense a cosmic shift had just taken place in the world of tennis. This wasn’t Robin Soderling coming out of nowhere in 2009 to hand Nadal his first — and only — loss ever on this sacred red clay. This wasn’t one of those “upsets” that, sooner or later, seem simply bound to happen. No, this was a moment when you realized the best tennis player in the world had officially usurped the best clay-court player in history — on his favorite surface. In other words, it changed everything. Nadal, the nine-time French Open champion, had been taken down a peg. 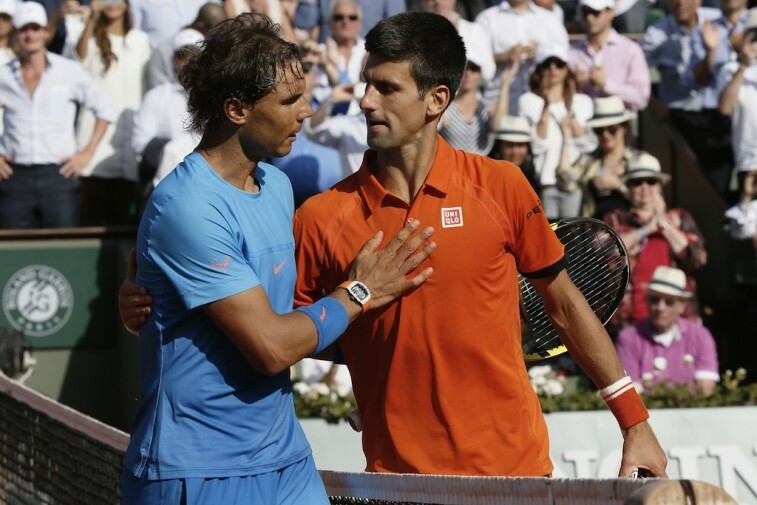 The “King of Clay,” visibly drained and simply not measuring up to his well-earned title, had officially been slain. Novak Djokovic had proven that there was no surface on the planet that he wasn’t capable of dominating. And for the first time since Rod Laver did it back in in 1969, there’s a good chance that Djokovic could very well complete the calendar-year Grand Slam. Call it a bold prediction, but we don’t simply believe it could happen. We thoroughly believe it will happen. We are well aware that Djokovic hasn’t even won the French Open yet. In fact, he needs to get through World No. 3 Andy Murray just to make it into the final. And even if he makes it that far, there’s no guarantee he’ll be the last man standing at the end. But for one second, just imagine that Djokovic does capture he first ever French Open crown. Considering a win at Roland Garros would give the Serbian a Career Grand Slam (a win at each Major: the Australian, French, and US Opens, plus Wimbledon) and taking into account the way he’s been playing so far this 2015 ATP season, how could you not like his odds? By winning the 2015 Australian Open — the year’s first Grand Slam tournament — Djokovic already put himself in prime position to make a run for the rest of the season. And at this point, it doesn’t seem like anyone is on his level. Including his latest victory over Nadal, the World No. 1 is 40-2 on the year, with five singles titles, and four Masters titles. He’s only lost twice on hard court and is undefeated on clay. Quite frankly, he’s a machine. If he manages to defeat the rest of his opponents in Paris and take home the first French Open title of his career, then his next stop on the road to history is the All England Club. And we already know what he can do there. Djokovic is the defending Wimbledon champion. By toppling Roger Federer — the master of the grass court– last year in four sets, you can bet that he’ll be feeling confident heading into this year’s event. By winning in London last season, Djokovic showed that he could win a Grand Slam that wasn’t played on hard court. He may not have won the French Open yet, but by defeating Nadal on Wednesday you better believe he’s feeling just as good as he did when he took out Federer last season. For a guy with a great return, tireless work ethic, and unmatched mental stamina, adding a bit of confidence to the mix will only make Djokovic that much harder to beat. Clearly we’re putting the cart before the horse here. 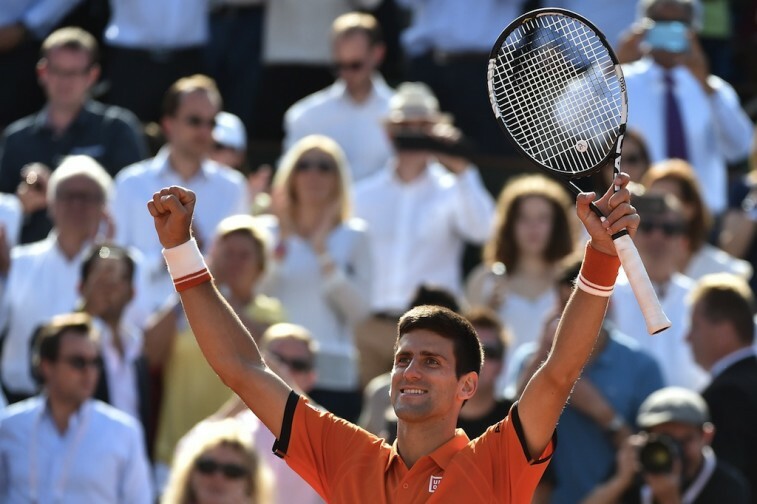 Djokovic still needs two more victories to capture the 2015 French Open. But he did something special on Wednesday; something that only one other person in history has ever done. He took down Rafael Nadal at Roland Garros. And he did it convincingly. The magnitude of this event cannot be overlooked. As of this very moment, Novak Djokovic has the most complete game in the sport of tennis. He’s only lost twice this year and is playing at a higher level than anyone else in the world. If he is able to remain healthy and doesn’t lose focus, we have every reason to believe that he can make some history this season.